It's hard to keep up with you guys and your marathon message posting sessions! How's everybody doing? Still cracking here. Just came home from a big hiking trip in the mountains of a nearby state. I found a large rock near our campsite with special cracking capabilities. I found that when I layed down on it a certain way it caused my spine to crack and pop from top to bottom into a perfectly relaxing position. I wanted to cut a chunk out of that mountain and bring it home with me, lol. Good ty - how long did you stay there for? oh that's where you were! I was in Western North Carolina. Here's a couple pictures. 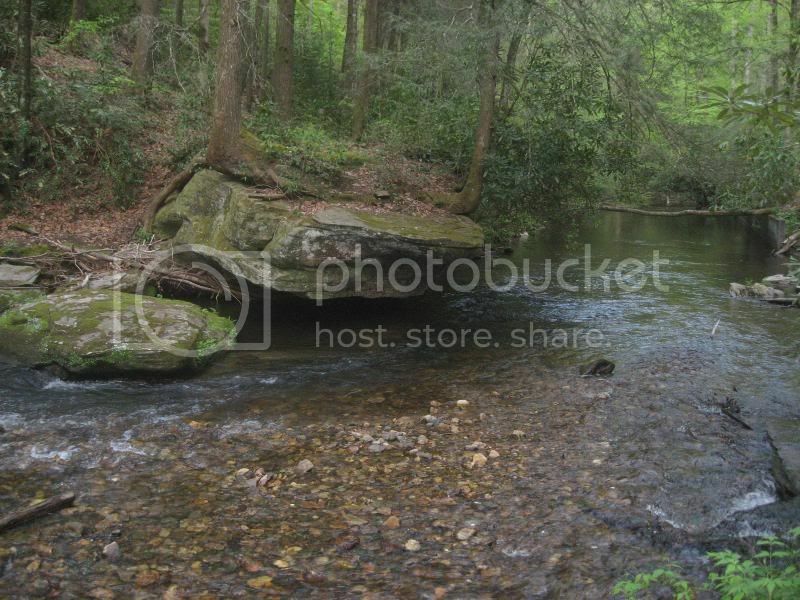 This is the river we camped near. This was a fun little waterfall we could walk behind. 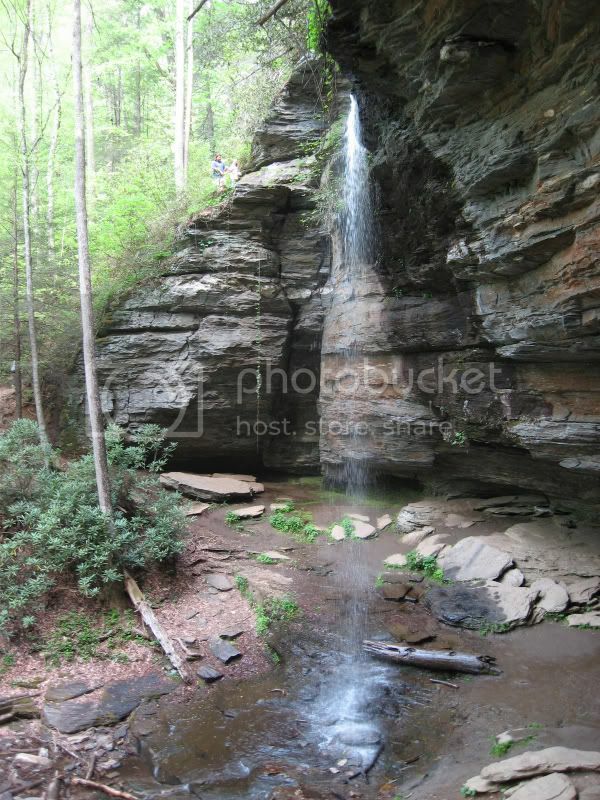 The tiny people climbing the rocks to the left of the waterfall are my husband and daughter. Bears. We didn't see any on this trip though. sounds scary! i'd hate to fight a bear, i'd lose badly! Not if you had a bear hunter or a machine gun. Obviously we carried machine guns on our family camping trip. This is America after all. OK, the above statement I was just kidding. We don't carry machine guns around, though we can get permits to carry concealed weapons if we wanted to. The bears are at least as afraid of us as we are of them and bear attacks are extremely rare. I live near a coastal river with swamps and what not. If you've ever seen "The Patriot" with Mel Gibson, it's like that. Another movie filmed around here was "Forrest Gump". When I watched the Vietnam scenes, especially where he's walking through water in the rain, I remember commenting to somebody that Vietnam is a lot like our area. Turns out it was filmed here. It hadn't occurred to me that they didn't actually go there. Anyway, my point is that something that might surprise you is that we go swimming in the rivers with the alligators. Unarmed. We're crazy rednecks out here.